Thanks to the generosity of a few people and the work of many, the St. Maries community will have its very own hospice house this spring. A 2,400 square-foot home, located across from the fire station on Jefferson Avenue was purchased by an anonymous person who is providing owner financing at a low rate for Hospice of Benewah County. The move allows hospice to place all of its services at one location, and to expand its offerings, decrease overhead costs and become more financially self-sufficient. 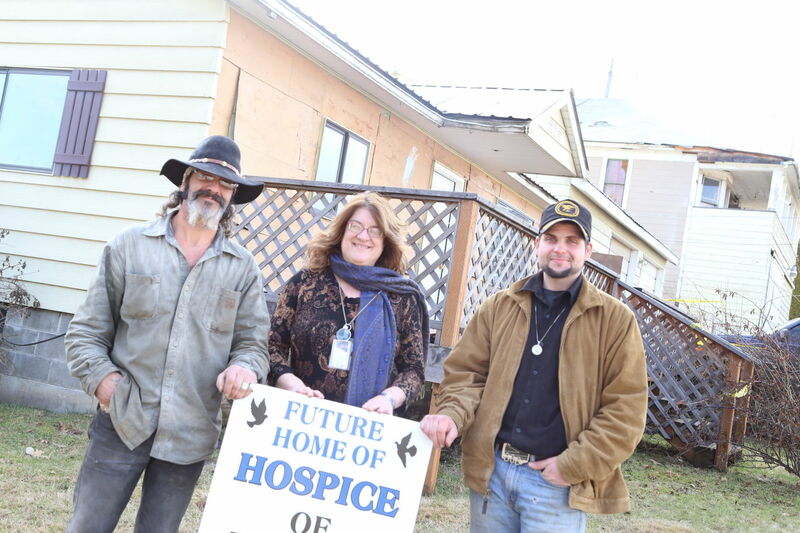 Director Robin Hodgson stands with volunteers who are helping renovate this house and property to be used as the new location for Hospice of Benewah County. Plans for the building include office space, a curiosity shop and storage for medical supplies and equipment. Before that can be realized, much work must be done to the building and property including a complete renovation of the home, demolition of the unattached shop and landscaping. Both skilled tradesmen and general laborers would be appreciated to help with the renovation. Material donations of appliances, furniture and building supplies including paint, flooring, siding, door locks and sheetrock. Those with specific skills in carpentry, electrical, plumbing, demolition, sign-making and people to tend the shop once open are also needed. Benewah County Master Gardeners have agreed to landscape the yard for the organization. The biggest project onsite will be the demolition of a two-story garage/shop adjacent to the house. The attached garage will be turned into a curiosity shop to generate funds to help support day to day operations of the organization. Donated items will also be needed to fill the shop. At this time the organization is focused on renovating the upper floor of the home. At a later time the group hopes to also renovate the downstairs portion and use it for a library and offer the bedrooms to those traveling to the area to visit with dying family members. Currently the organization has an office across from the courthouse on College Avenue, and stores its medical equipment in a shed adjacent to the fire hall. Organizers hope to have the building ready to open by the end of March. 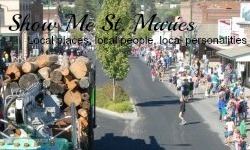 Call the office at (208) 245-5734 between 9 a.m. to 2 p.m. Monday through Friday for additional information.